As Saudi Arabia, backed and coordinated by the United States, continues a war of aggression against Yemen, the US has decided to sell Saudi dictator Salman bin Abdulaziz four more warships as well as munitions and other equipment valued at $11.25 billion. Saudi Arabia is currently using US ships to block food, fuel, and medical supplies from entering Yemen, with US-manned ships “patrolling alongside”. Doctors Without Borders has reported that the blockade is “killing as many people in Yemen as the bombing”, and the Red Cross and other groups have said it is causing a humanitarian crisis, as Yemen imports almost one hundred percent of its food. 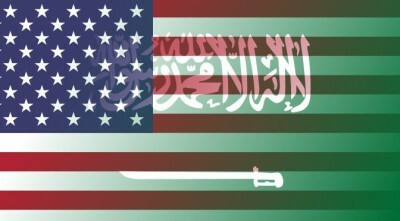 While nationalist news outlet Reuters asserts that deals like the current weapons shipment to Saudi Arabia are “carefully vetted”, independent investigative journalist Gareth Porter asked the Obama regime about the clear “illegality of resupplying further munitions to the Saudis”, and was told only that the US has asked King Abdulaziz to investigate himself regarding his war crimes. US government sources told Reuters that “Saudi Arabia’s concerns about Iran” hastened the new weapons deal. Sources failed to mention that among these “concerns” is that Iran’s influence might bring democratic reform to the Saudi kingdom. Reuters quotes another anonymous US government source who says that by using the Saudis as a proxy to destabilize, starve, and spread Saudi-style despotism to Yemen through war of aggression, the US is “promoting peace and stability”. Since the US/Saudi campaign against Yemen began, al Qaeda and ISIS have both made major gains in that country. Obama has a history of large arms sales to the Saudis. The “world’s largest” arms trafficker and peace prize winner secured the biggest arms sale in US history in 2010, stocking the Saudi dictator with $60 billion in lethal weaponry and equipment, and later hundreds of millions of dollars in banned cluster bombs, which the dictator has since used against Yemenis. Robert Barsocchini focuses on force dynamics, national and global, and also writes professionally for the film industry. Updates on Twitter.